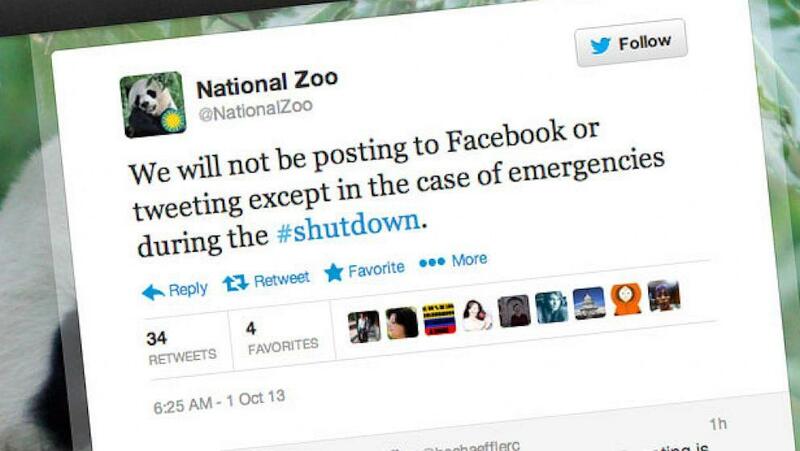 What is very interesting however is that status updates are the go-to for the shutdown. In order to get the message of the outage to citizens in a quick and efficient manner, you tweet about it, you post it to Facebook, and you post pictures in addition to the statuses to really get a point across. It’s interesting to note that during the Super bowl 2013 blackout, Oreo’s infamous tweet “You Can Still Dunk in the Dark,” although not completely planned for, was also not a shot in the dark. The brand was ready for real-time marketing and had the best of the best in the room that Super bowl night. Read more about the campaign here. The point is that social media is changing the way that we communicate with one another and no one topic is excluded from this shift. The government shutdown is a great example of how social media is the new force on which to communicate, have an opinion, or make a decision. Those that are aware of what the shutdown means and those that aren’t, can equally benefit from the social platforms in order to learn and communicate more on the topic. Who do you follow on Twitter or Facebook to stay informed?